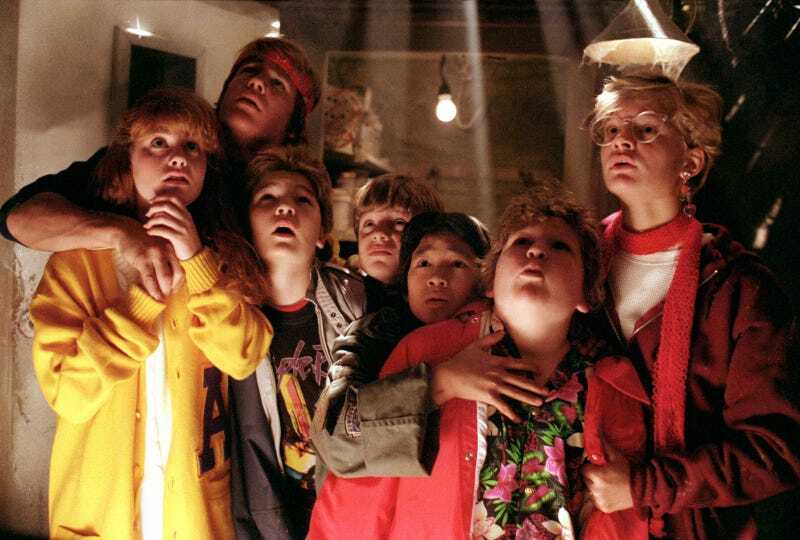 Will fans ever get to see a sequel to The Goonies? Probably not. We do know the film’s writer is struggling with the idea, as is director Richard Donner. However, in a new interview, Donner reveals The Goonies is on its way to becoming a unique, immersive stage experience. But a Goonies immersive theater experience? That’s a really good idea. It sounds kind of like Escape Room, a popular event that they have in Los Angeles as well as other cities. There, you and a group of people have to work together to solve a series mystery to get out of a room. Which sounds almost exactly like the plot of The Goonies, does it not? Maybe for this one, you’d go in with a small group (your very own Goonies) and have to figure out a bunch of One-Eye Willy’s booby traps to get through a series of rooms. Kind of Escape Room plus dinner theater, minus the dinner. Donner says it’s going to take “another year” for this to come to fruition, so we’ll have to be on the look out in 2016. But can you can imagine how popular an official Goonies event like this is going to be?